Catch your customers’ eye when they’re out and about with custom-made corrugated displays from Build A Box. Our design experts are trained to assist you in making the perfect display that will stand firm while looking good. With these displays, you are sure to stand out from all the other shelf-lined products. Typically end caps are broken up into three vertical sections with distinct sales and display roles. 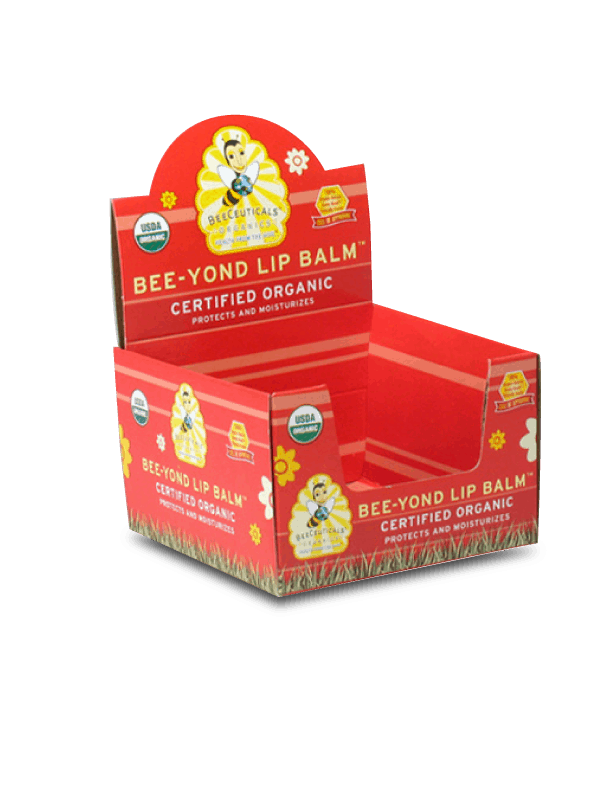 Signage and messaging, showcasing product, and holding additional stock. 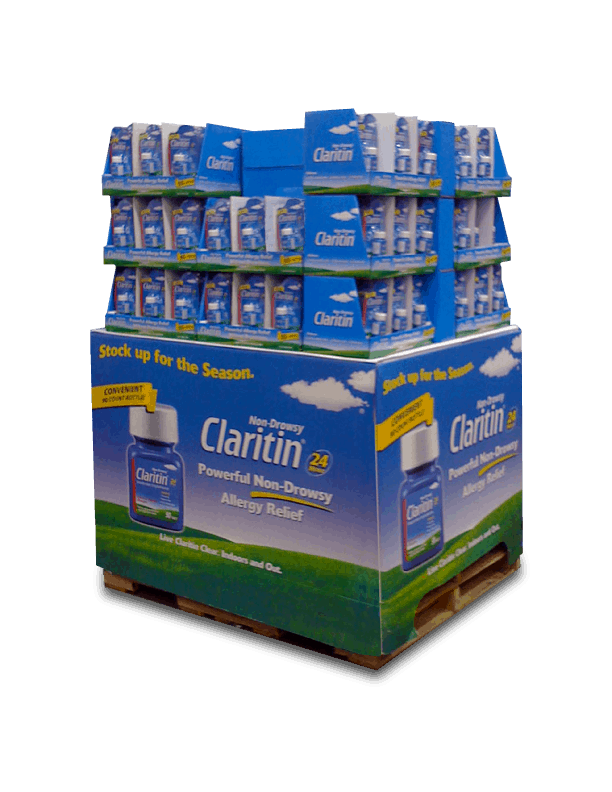 Placed in high traffic areas, end cap floor displays can be an effective way to reach potential customers and display your brand. Design a prominent display that stirs a particular passion in your potential customers. 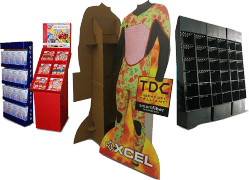 These displays typically sit next to a Point of Sale and offer you another opportunity to share your brand with potential customers. Turn shoppers into buyers. 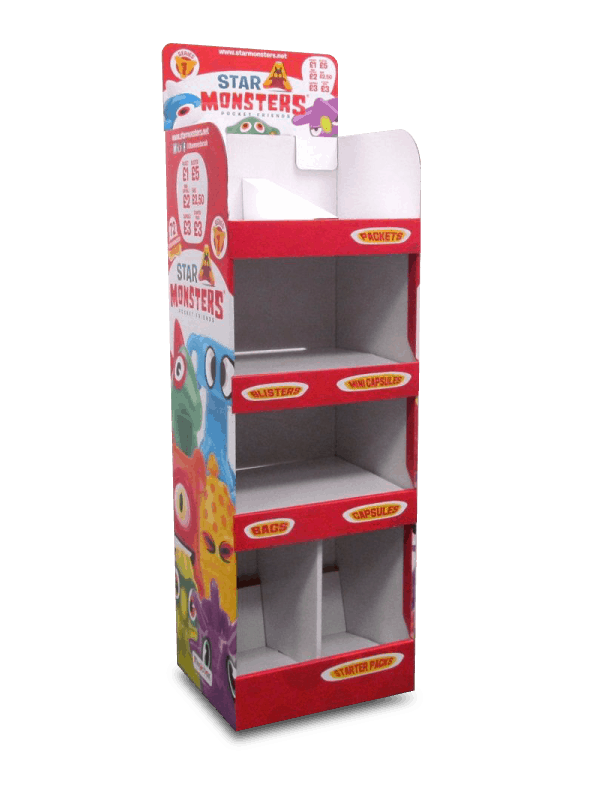 The most cost effective way to ship and display your products. They provide a vehicle for special promos, as well as increase efficiency in shipping and storage. Durable, light-weight, and mobile. Take your branding on the go, the perfect trade-show or pop-up solution. Capture potential customers with detailed designs before they make their final purchase.